Mauricio (far right) with fellow Asociación de Productores de Vino Campesino de Chile members. Mauricio Gonzalez Carraro is part of the Asociación de Productores de Vino Campesino de Chile, organized by natural wine advocate and sommelier Macarena Lladser. Their group of four all practise within the wine regions inside of the Secano Interior. They dry farm their organic land and mostly old ungrafted vines. Devoted to low intervention winemaking they are committed to revitalizing the local heritage of the pipeño, a refreshing wine, low in alcohol, made from the grape país, raised in pipas – barrels made from the local wood raulí. Mauricio has 4 hectares of land to work, just himself, and his wife. Two hectares are planted to Pais, 1.5 to Malbec and .5 to Carignan. The Malbec and Carignan are grafted to Pais rootstock. He has a good amount of volcanic soil, and very few of the pine and eucalyptus trees that the growers in this region disdain. The trees steal exorbitant amounts of well-needed water, they encourage fires, and they are not indigenous to the region…in other words they are intrusive. The soils are manually tilled, and fertilised with natural compost. Mauricio’s harvests are manual, the wine ferments in a large traditional lagar…open top. He does not use sulphur, except to clean…and no chemicals or modern technique of any kind to ‘correct’ the wine. The wine is aged in old pipas and tinajas (barrels and amphorae), and the result is pure and fresh. 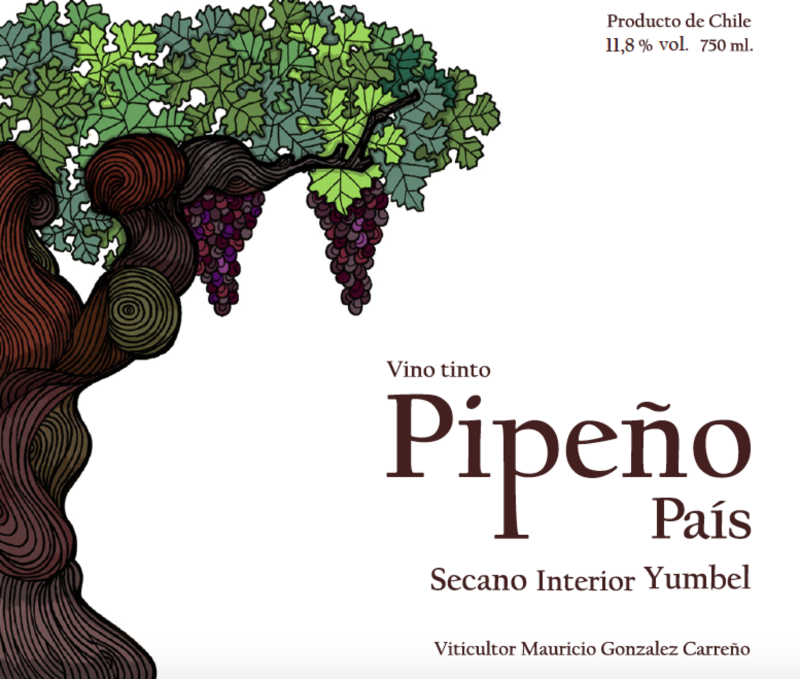 The Pipeño Tinto is Pais planted on volcanic sand, is from 200-year-old gnarly bush vines. Grapes are destemmed and naturally fermented. No sulphur is added at all. The wine is matured in beech wood barrels of varying size and bottled without fining or filtration. Light and refreshing, the nose has earthy tones and a lot of fresh red fruit, and a sharp and vertical texture. 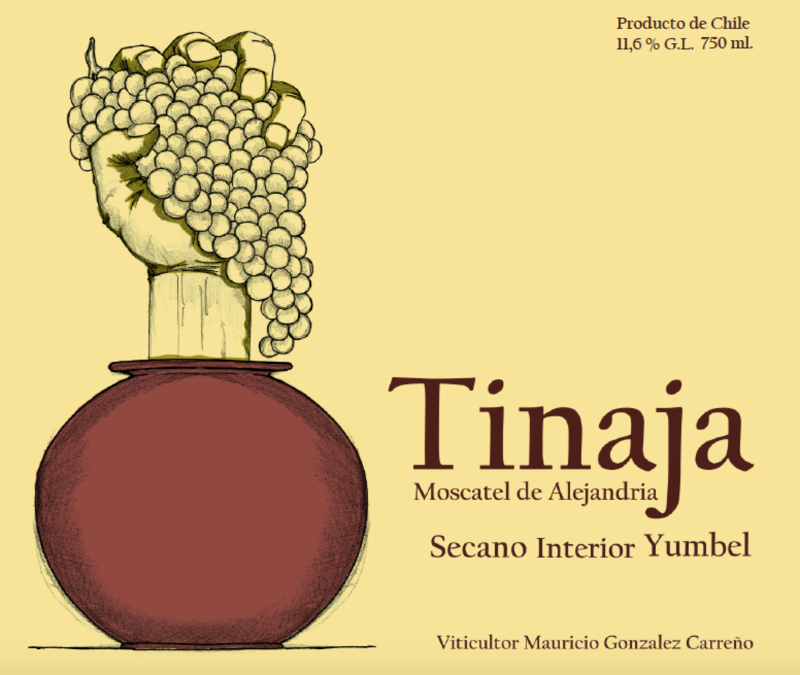 The Moscatel is naturally fermented in tinajas (300-900 l) on skins and aged on skins also. Orange in colour with aromas of white flowers and citrus fruits. Vibrant and intense acidity and a great structure in mouth. Although the wine undergoes a full malolactic, is unfiltered, it is wonderfully zesty and packed with mineral energy. Old vines, a relatively cool microclimate, plenty of rainfall in winter, traditional organic farming and a gentle touch in the winemaking yield wines that are delightful and delicious.